BT has signed a Memorandum of Understanding (MoU) with Europol to share knowledge about major cyber threats and attacks, as the two organisations reinforce their efforts to create a safer cyber space for citizens, businesses and governments. The agreement, which was signed at Europol’s Headquarters in The Hague in the Netherlands, provides a framework for BT and Europol to exchange threat intelligence data as well as information relating to cyber security trends, technical expertise and industry best practice. BT is committed to sharing its threat intelligence data with industry partners and law enforcement agencies such as Europol in a secure and trusted way, as a means of better protecting UK and global customers from the rapidly expanding cyber-crime industry. Earlier this year, it became the first telecommunications provider in the world to start sharing information about malicious software and websites on a large scale with other ISPs via a free online portal – the Malware Information Sharing Platform (MISP). Since the platform was launched, BT’s worldwide team of more than 2,500 cyber security experts have so far helped to identify and shared the details of more than 200,000 malicious domains. The recipients of BT’s threat intelligence data have then able to take the appropriate course of action to protect their customers and stakeholders against the specific threats identified. Europol created the European Cybercrime Centre (EC3) in 2013 to strengthen the law enforcement response to cybercrime in the EU in a bid to better protect EU citizens, businesses and governments from online crime. It also operates the Joint Cybercrime Action Taskforce (J-CAT), which aims to drive intelligence led, co-ordinated action against key cybercrime threats and targets by facilitating the joint identification, prioritisation, preparation and initiation of cross-border investigations and operations by its partners. This entry was posted in General Technology by DFM Team2. Bookmark the permalink. Digital Forensics Magazine are again offering a 10% discount for students on our online version of Digital Forensics Magazine. 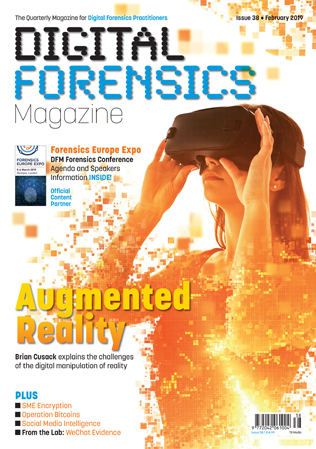 Simply email 360@digitalforensicsmagazine.com from a valid academic email address and we’ll send you back a code that will enable you to get 10% discount when you go through the checkout process from our subscription pages. 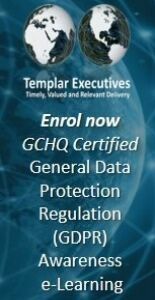 You will need to sign up with a valid student email address. SUBSCRIBE TO THE LATEST EDITION TODAY!